Ham Radio is a hobby where people use radios and other equipment to talk to other ham radio operators around the world. Hams talk locally to other local hams with hand held radios and repeaters, and talk to others around the world through HF transceivers, satellites, and even by bouncing their signals off of the moon back down to earth (EME). Hams even use computers to operate using digital modes, and use the Internet to connect local repeaters with other repeaters around the world, allowing them to talk great distances with small, battery operated radios. For more information on what it is to be a Ham Radio operator, check out the ARRL - What is Ham Radio page. Who can become a Ham Radio operator? That answer is easy - in the United States, anyone can become a ham. 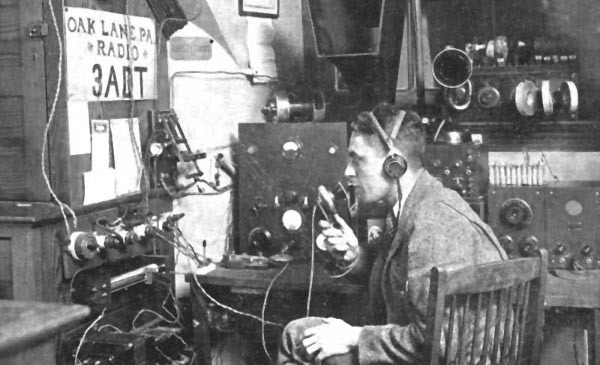 Ham radio is made up of people from all walks of life and from many different countries. As long as you take and pass the test, you can become a ham. I know hams from all age groups, from different places, in different careers, and even in different countries. Currently there are 3 license classes, and none of them require learning morse code. The first class is Technician, an entry level class that allows operating on all VHF and UHF frequencies, and a few in the HF range. This is a great starting point for most people, and is the only license many hams desire. If you like local operating, satellite communications, and microwave communications, this is the license that gives you those privileges. The next license class is General, and that grants you some operating privileges on all bands using all modes. This license really opens up your world of operating worldwide. I have an HF radio in my car, and in less than 18 months, I had made over 300 contacts with over 48 different countries while driving to and from work. The last license class is Extra, and that grants you all operating privileges on all frequencies using all modes. Many people believe that Extra is only good for contesters, but that isn't true. There are HF nets that only operate in the Extra class frequencies. Also, some countries General class hams operate in our Extra class ranges, so it opens up the possibility to make more foreign contacts.For myself, I chose to upgrade to Extra class so that I wouldn't have to worry about talking out of band when driving down the road. If you are interested in more information about getting your license, check out the ARRL - Getting Licensed page. Why become a Ham Radio Operator? I hear this question a lot; "Why become a ham when you can talk to people all over the world through the Internet?" The easiest way I can explain it is using fishing as an example. In most parts of America, if someone wants fish, all they have to do is go to a grocery store, fish market, or meat market and buy it. Yet a lot of people continue to go out into lakes, rivers, and the oceans to fish. Why? Because it isn't always about catching dinner, but about the hunt. For many fishermen, it's about which rod/reel is chosen, which type of bait, at what depth do they place the hook, etc. Once they catch the fish, the hunt is done. Ham radio is like that. Anyone can get a cheap cell phone and text with someone half way around the world, but where is the challenge? But buying a transceiver, building your own antenna, choosing the right band for the time of day or night, and which mode to use is all part of the hunt. If there is a rare contact operating that has created a large number of people trying to get him to answer (pileup), what do I need to do using lower power from the car to get his attention. That is the hunt. I cannot explain the feeling of accomplishment that I get when I have broken through a pileup with 100 watts or less and gotten the contact, or when I get a 5000 mile contact on an antenna I made from coat hangers and wood. It's not always about the contact, but about getting it. And a side benefit is that you often end up making friends that you would have never met if it wasn't for Ham Radio.